When Mary Hopkin began her career at Apple, she was no more than a voice; a tool with which Paul McCartney was going to use to craft pop mastery1. Hopkin’s voice was superb and fantastic, and McCartney saw that to make a good record of classics and new material which would be universally adored. He began with the Russian tune (which Gene Raskin added English lyrics to) called “Those Were The Days.” The song went on to be an international smash hit. Where Post Card prevails, Earth Song/Ocean Song fails. While it’s not a bad record, it’s just nothing special. 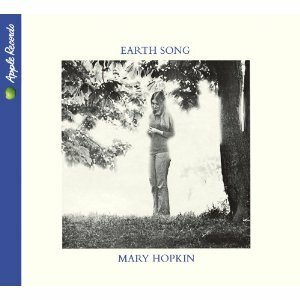 While Hopkin’s first record was a fantastic, grand event, Earth Song/Ocean Song is the same old, in a time over filled with women singing folk songs. It’s cliché and slightly boring. Some of the songs are fantastic, others are mundane. 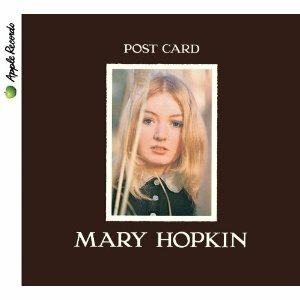 Throughout it all Hopkin’s voice is superb, and producer Tony Visconti does a fantastic job with Hopkin. If you want something of this style, might I suggest some Joan Baez?